Regulatory reforms introduced last year should soon begin attracting investors to help carry out large, state-led projects, particularly in the field of renewable energy. 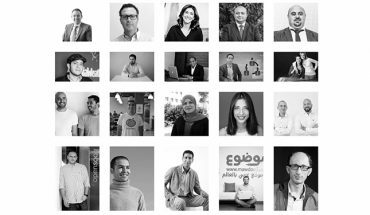 The Regulation for Organizing Non-Jordanian Investments No. 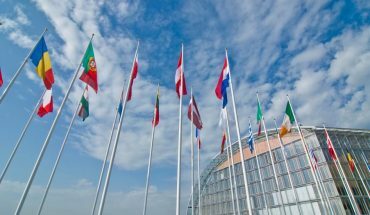 77, passed in June, eased capital requirements and other restrictions on foreign investment in key sectors. Among the headline changes, foreign investors looking to establish businesses are no longer required to meet a JD50,000 minimum capital threshold to enter specific industries. Areas previously restricted to local firms, including railway services, have now been opened up to international investors, though certain segments of the economy remain off-limits. Investment in alternative energy has flowed in as Jordan seeks to carry out a large pipeline of projects set to add 1.3 GW of renewable generation capacity to the existing installed 400 MW. Among these is an 89.1-MW wind farm being built near Amman by South Korea’s Korea Electric Power. Construction started on the JD130 million facility last month and is slated for completion by October 2018. Another wind project got off the ground in December, when Spanish manufacturing company Gamesa Corporación Tecnológica clinched a contract for the construction of an 86-MW facility in southern Jordan’s Ma’an Governorate. 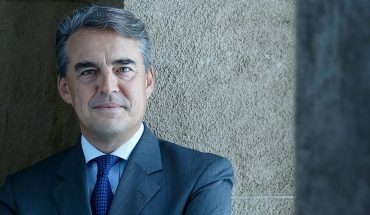 The project is scheduled to be fully operational by October 2018, with the Spanish company set to maintain and operate the project for 20 years after production begins. Solar projects have also proven a popular destination for recent investment in renewables. In November Saudi Arabia’s ACWA Power secured a $54 million loan from European banks for the development for a 60.3-MW solar plant in Mafraq, 50 km north-east of Amman. Green energy is gaining momentum in Jordan at a time when many large economies, such as China and Japan, are cutting back on new projects in favor of consolidating capacity. 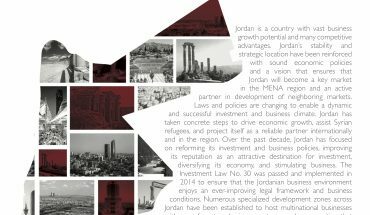 While global investment in the segment slipped by 18 percent in 2016 to $287.5 billion, according to industry media, Jordan attracted inflows of $1.2 billion, an annual increase of 147 percent. According to the Jordan Clean Technology Sector Report 2016 released in early February by EDAMA, a local business association, the Kingdom has the second-most-attractive environment for renewable and energy-efficient investments in the region, after Tunisia. The report found that the 365 companies operating in the field—80 percent of which are locally owned—were driving green technology development across several pivotal areas, including energy efficiency, renewables, and water and waste management. 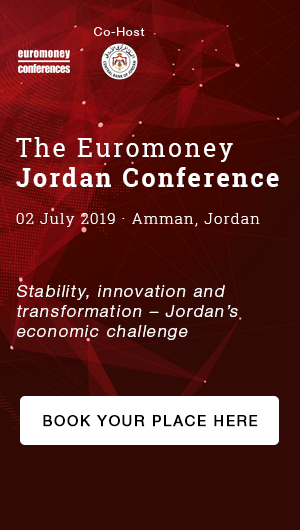 In overhauling its investment framework, Jordan is looking to raise foreign investment inflows across the economy, where GDP growth has been around 2 percent to 3 percent annually since 2010, in part by strengthening bilateral relations with its neighbors. Jordan is also moving to strengthen trade relations with Iraq. 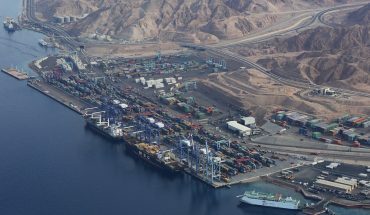 In 2016 the two neighbors agreed to build a pipeline to carry oil and gas from Basra to the port of Aqaba. On the back of this, a meeting between the Iraqi Business Council and the Iraqi Economic Council was held in Amman at the end of last month, where representatives praised Jordan’s attractive investment environment. At the event, sector players from both countries said they were keen to extend economic relations beyond the energy sector.